I'm just crazy about these. I too used to go (to the 7-11) and beg the cashier to open up the machine and give me the bottle caps. Just stumbled upon your blog and enjoying it. 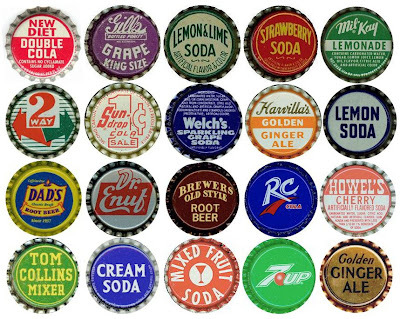 Very interesting bottle cap collection.